The Mexico City Airport Trust (MEXCAT) launched Monday in New York an offer to buy back up to US$1.8bn of the US$6bn in bonds it issued to finance construction of a new 285bn-peso (US$14.8bn) international airport for Mexico City, a project the country's new president has said he will cancel. The trust said in a statement it is offering 90-100% of the bonds' face value via a modified Dutch auction. 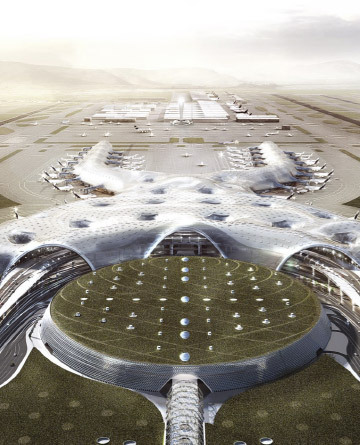 MEXCAT, a special purpose vehicle, was planning to pay the bonds with charges from the existing Mexico City airport and the one under construction. It issued the bonds on behalf of GACM, the state holding in charge of building the airport. The new board of GACM, meanwhile, has agreed to temporarily continue with construction. Work is set to proceed until the administration of newly sworn-in President Andrés Manuel López Obrador (AMLO) concludes negotiations with the bondholders, according to press reports. The decision was made during the first meeting of the new board, which is chaired by transport and communications minister Javier Jiménez Espriú. Graciela Márquez and Josefa González, the respective economy and environment ministers, are also members of the board, along with other recently appointed government officials. According to the meeting's minutes, which were leaked to the press on Sunday, new GACM chief executive Gerardo Ferrando requested authorization to evaluate a strategic plan for the airport, the results of which are set to be unveiled "within a few weeks." Ferrando confirmed the information to journalist Carmen Aristegui on Monday, saying that a new board meeting is expected in about three weeks or a month. The official said he is responsible for collecting information on matters such as discrepancies between the project's construction progress and the timetable so the board can formally authorize the suspension of works. In addition to the cash buyback offer, the bondholders will be asked for their authorization to modify the agreements related to the debt issues, the finance ministry said in a statement. The GACM board members expect enough bondholders will accept the offer for the formal end to construction to be announced by the second half of the month, according to the minutes. The measure is aimed at providing certainty to investors, sending a clear message to rating agencies that have downgraded the government and at having the airport's cancellation figured out before the 2019 budget is submitted to congress. After the cancellation of the airport was announced following an unofficial referendum AMLO organized in late October, the prices of the bonds dropped significantly. There were reports that some bondholders were pondering legal action against the government. At a press conference on Monday morning, his first since taking office on Saturday, AMLO said that details about the airport's cancellation and the negotiation process with investors will be unveiled on Tuesday. "I want to reaffirm that all the investments of the bondholders will be guaranteed, and that we are also reaching agreements with the construction companies," he said. "What is being discussed [in the negotiations with investors] is related to the airport's trust fund. The decision made by the citizens [on the project's cancellation] is a different matter," AMLO told reporters.